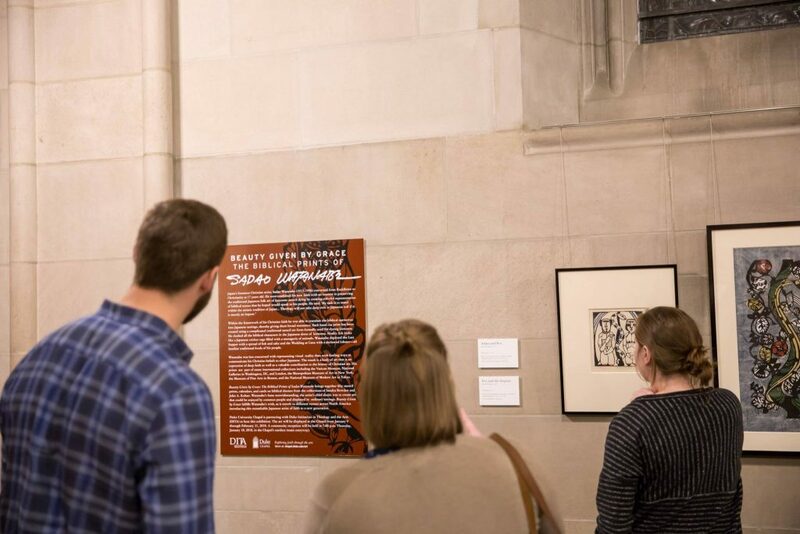 This winter, DITA partnered with Duke University Chapel to host Beauty Given by Grace: The Biblical Prints of Sadao Watanabe, a series of fifty katazome stencil prints on biblical themes by Japanese Christian artist, Sadao Watanabe (1913-1996). 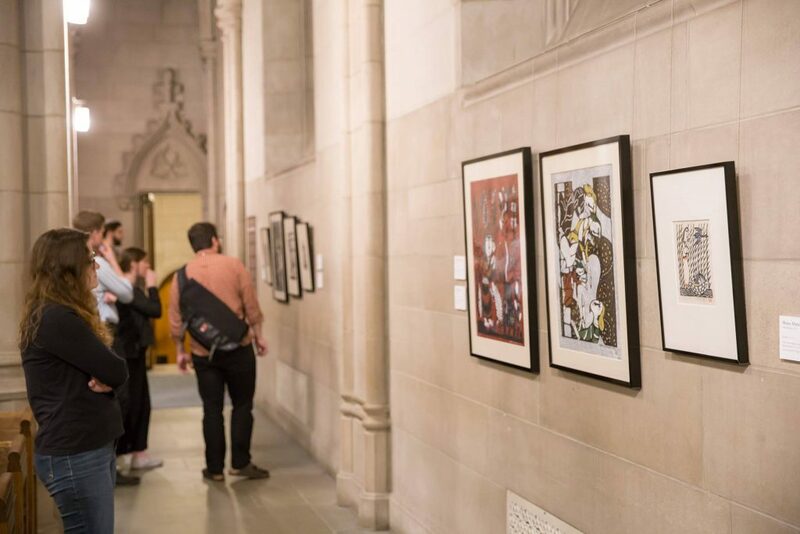 On loan from the Christians in the Visual Arts (CIVA) organization, the exhibition featured original momogami and washi prints, cards, and calendars from the collections of Sandra Bowden and John A. Kohan. Desiring to communicate his Christian beliefs within the Japanese cultural imagination, Watanabe reinterpreted biblical narratives within a Japanese indigenous context, using traditional Japanese folk art traditions and settings. Celebrated internationally for his Japanese depictions of biblical scenes, Watanabe’s work was accepted into the preeminent collections of the world, including the British Museum, the Museum of Modern Art in New York, the Museum of Fine Arts in Boston, and the National Museum of Modern Art in Tokyo, and even hung in the corridors of power — the Vatican Museum and, during President Lyndon Johnson’s administration, the White House. As a part of DITA’s exhibition, a closing reception was held for the community. Lisa Beyeler, a Duke Divinity student with DITA, gave a talk on Watanabe’s work within the context of the mingei (or Japanese folk art) movement. Bringing to light recent Japanese scholarship that has questioned the overwhelmingly favorable and uncritical acceptance of mingei in the West, Beyeler’s presentation reexamined mingei’s claim to authentic Japanese values and forms and argued that it is only through the scrupulous investigation into mingei’s development that one can see, with new eyes, the “beauty given by grace” in Watanabe’s biblical mingei prints. 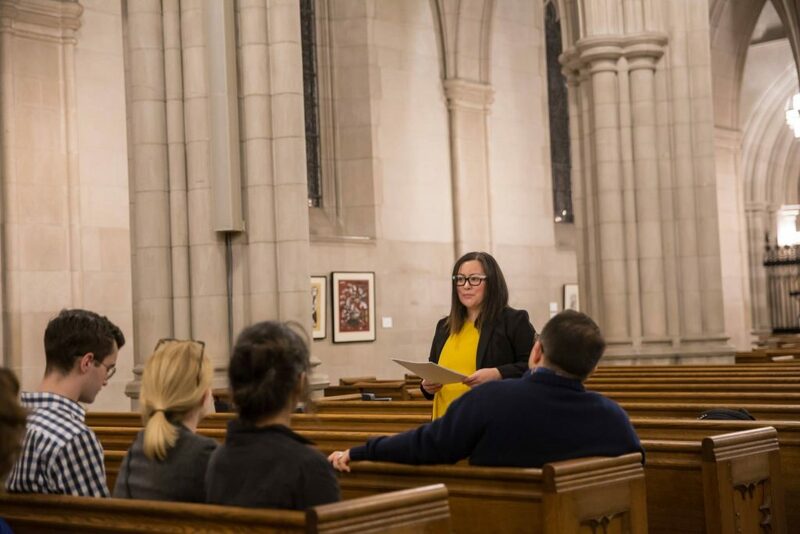 Beyeler’s presentation was expanded into her final thesis for DITA’s Certificate in Theology and the Arts (CTA). 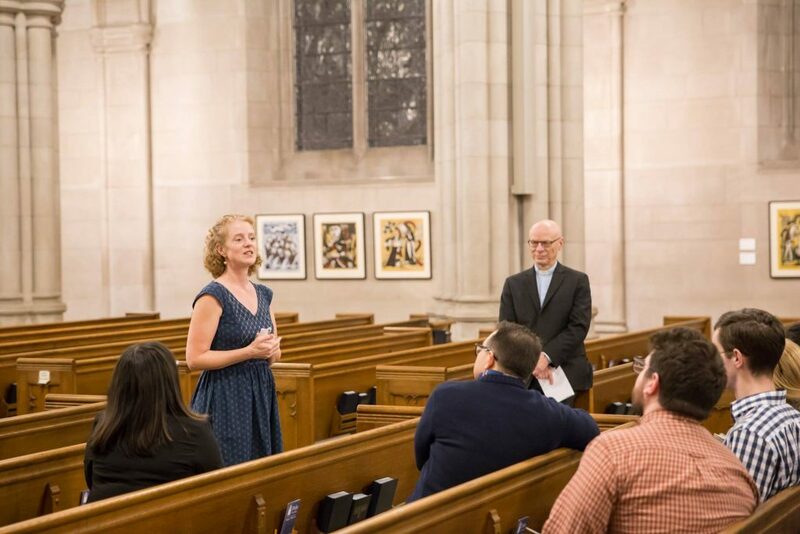 Photos courtesy of Duke University Chapel.